PAN ROYALTY: Ken ‘Professor’ Philmore died at the San Fernando General Hospital yesterday, six days after he was in a horrible accident on the Solomon Hochoy Highway. SIX days after a horrible accident on the Solomon Hochoy Highway, pannist and arranger Ken ‘Professor’ Philmore, 58, died at the Intensive Care Unit of the San Fernando General Hospital, early yesterday morning. Philmore suffered severe internal injuries in the crash on the Republic Day holiday. He sustained broken ribs and his lungs had collapsed. Philmore was driving his Toyotal Hilux north along the Solomon Hochoy Highway when he picked up a skid near Claxton Bay at around 8.45am. The vehicle flipped several times and Philmore was thrown out of the cabin. His wife, Sophia Philmore, yesterday confirmed he died at about 9.30 am, yesterday. She had called on citizens to pray for him. In a statement, his family thanked all of TT for the outpouring of love and support, expressions of concern and condolences they have received. They have planned a celebration of his life for friends, fans and well-wishers with two pan yard limes. The first will take place at Newtown Playboys Steel Symphony Pan Yard on Tragarete Road, Port of Spain today from 7 pm, while the other will be held at the Fonclaire Pan Yard, in San Fernando, tomorrow, also from 7 pm. Immediately after his death, fans paid tribute to the musical genius on social media. “In total shock, expecting him to walk out of hospital’, one Facebook post read. “RIP to south greatest arranger,” another read. “Today, I join with the national community and the worldwide steelpan fraternity in mourning the untimely passing of legendary pannist and arranger, Ken “Professor” Philmore. “Philmore, a beloved son of South Trinidad, began honing his skills on the national instrument at a very early age and went on to establish himself as one of the premiere names in pan. “The self-taught musician demonstrated a continuous dedication to his craft which solidified him as an incomparable talent. “As the arranger for Fonclaire Steel Orchestra, he was responsible for some of the most memorable Panorama music ever composed. His hits include “Pan By Storm”, “Pan Ecstasy” and “Pan in the Party”. San Fernando Mayor Junia Regrello said Philmore captured the true essence of pan as a soloist and as an arranger. “It is a big lost for us, for the city in particular, because we have lost a son of the soil. Regrello said his contribution to San Fernando and the pan fraternity was as inspiration to young players and arrangers. The San Fernando City Corporation, he said, was willing to assist in funeral arrangements, and whatever way it can. Captain of NLCB’s Fonclaire Steel Orchestra, Milton Austin said never in a million years did he ever think Philmore will die before him. “I saw him as full of life, as someone who can bring life to any party,” Austin said, adding it was difficult to come to terms with his death. He said Philmore gained the name ‘Professor’ as there were no match for him. Culture Minister Dr Nyan Gadsby-Dolly also extended condolences. 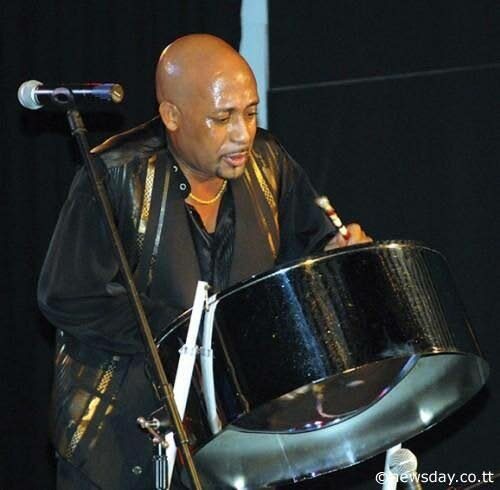 “A steelpan arranger, composer and pan man extraordinaire, he took his passion for our national instrument across the world,” a post on the Ministry of Community Development, Culture and the Arts’ Facebook page said. Tourism Minister and San Fernando East MP Randall Mitchell, on his Facebook page, also paid tribute to the panman, saying the national community was thrown into mourning. “As a child, one name I have always associated with steelpan in San Fernando and throughout the nation is Ken “Professor” Philmore. “He brought a level of excellence to the artform that can never be duplicated. National Security Minister and Minister of Communications Stuart Young said as a steelpan arranger and composer, Philmore was widely acknowledged as pan royalty in TT and was arguably one of the top steelpan soloists in the world. “Earlier in his career, he was honoured by Pan Trinbago as one of the most promising arrangers. Young believes Philmore’s work with the steelpan fraternity will continue to define the way the national instrument is played and heard. “His talents as a pannist and arranger were refined over the course of several decades, and it was clear that pan was his passion and his calling.” She said his dedication to his craft resulted in a tremendous body of work, and also earned him international acclaim. Philmore was the third of five children and got his introduction into pan through his cousins Ferdi and Barry Brathwaite. He first played with Hatters at age 15, and later moved to Kalomo Kings in 1977. He then moved onto Gay Hoytonians before he finally settled with Fonclaire Steel Orchestra in 1981. His first album was in 1985 with Pan Assembly, and he assisted Fonclaire in reaching a joint 6th place with his arrangement of Pan in A Minor. This association with Fonclaire enabled the band to be joint winners in 1988 with Deltones and to win the South Zone Panorama title for the next four years. Philmore also began composing tunes for Panorama such as Pan By Storm (1990), Pan Ecstasy (1991) and Pan in the Party (1992). During the years 1989, 1990 and 1991, his arrangements placed second each year in Panorama with the band Fonclaire. In 1988, he appeared with Tina Turner and Lionel Hampton in New York and appeared as a special guest with Mercer Ellington, son of “Duke” Ellington, and was featured on the title cut of Ellington’s album Queenie Pie Reggae. Philmore also appeared in concert with the world-renowned Latin American musician Tito Puente. In 1996, he was honoured by Pan Trinbago as one of the most promising arrangers. Reply to "Ken ‘Professor” Philmore dies six days after accident"